Many of us have been on the other side of that conference room table, having question after question thrown in your direction. What are your salary requirements? What are your strengths? Where do you see yourself in 5 years? Some of these questions can be scary, intimidating and frustrating at times, but you do your best coming up with your A+ answer. There is good news though. To an extent, there is a time during the interview where the tables are turned and you have the opportunity to ask some questions to the individual conducting the interview. This is a crucially important time for both you and the company during the interview process, as it is important to make sure the situation you are interviewing for is a fit on both sides. Clearly this is not the time to ask what their salary is, or what they consider their strengths to be, but instead an opportunity to learn more about the position and company that you are applying for. Often individuals know that they can ask questions during the interview, but they struggle with what questions would be appropriate or beneficial. CareerBuilder published an article that helped outline some appropriate questions to ask, next time those tables are turned in your direction. This is a great questions, as it will allow you to hear what the expectations are from the Hiring Manager, as opposed just following the Job Description. This question will help you determine if you have those skills and attributes that they are looking for. If you feel you do, this question will provide you with the opportunity to explain how you possess those attributes and provide examples. A very important question for multiple reasons. The answer provided will hopefully allow you to understand a timeline the company has in place for hiring and may also provide you with knowledge into how many other individuals are interviewing for the role. Can I please have a business card? Extremely important question, allowing you the opportunity to follow up on the interview with a personalized Thank You note. Having the business card will enable you to make sure you have the proper spelling, title and mailing address of the individual you interviewed with as well. As always, if you have a list of prepared questions that you would like to ask during your next interview, but want to make sure they are appropriate, please feel free to ask the Recruiter you are working with at C.R. 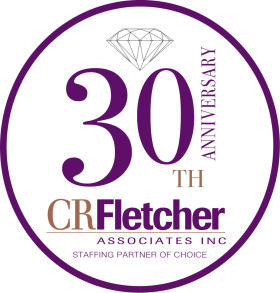 Fletcher Associates. They will be more than happy to assist you!